Supervised exercise interventions can elicit numerous positive health outcomes in older breast cancer survivors. However, to maintain these benefits, regular exercise needs to be maintained long after the supervised program. This may be difficult, as in this transitional period (i.e., time period immediately following a supervised exercise program), breast cancer survivors are in the absence of on-site direct supervision from a trained exercise specialist. The purpose of the present study was to identify key determinants of regular exercise participation during a 6-month follow-up period after a 12-month supervised exercise program among women aged 65+ years who had completed adjuvant treatment for breast cancer. At the conclusion of a supervised exercise program and 6 months later, 69 breast cancer survivors completed surveys examining their exercise behavior and key constructs from the Transtheoretical Model. 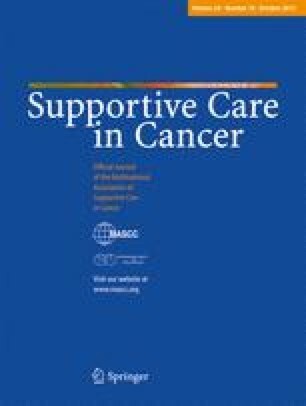 After adjusting for weight status and physical activity at the transition point, breast cancer survivors with higher self-efficacy at the point of transition were more likely to be active 6 months after leaving the supervised exercise program (odds ratio [95% confidence interval, 1.10 [1.01–1.18]). Similarly, breast cancer survivors with higher behavioral processes of change use at the point of transition were more likely to be active (odds ratio [95% confidence interval], 1.13 [1.02–1.26]). These findings suggest that self-efficacy and the behavioral processes of change, in particular, play an important role in exercise participation during the transition from a supervised to a home-based program among older breast cancer survivors. This study was made possible through Grant No. 5RO1CA120123-03, “Comparison of aerobic and resistance exercise in older breast cancer survivors,” National Cancer Institute, National Institutes of Health, awarded to Kerri M. Winters-Stone, Ph.D., Principal Investigator. The authors declare no conflicts of interest and have full control of all primary data and agree to allow the journal to review the data if requested.